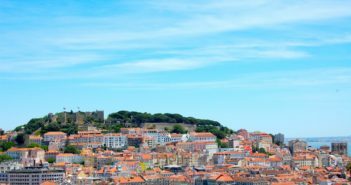 Car rental in Lisbon might not be essential if you only intend to explore within the city. 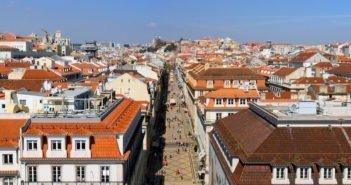 There’s also no point in renting a car to take a daytrip to nearby Sintra or Cascais. But if you’re here for some time, you may want to explore more of Portugal. If you intend to visit, say, the Algarve or the north of Portugal, then having your own vehicle is the way to go. 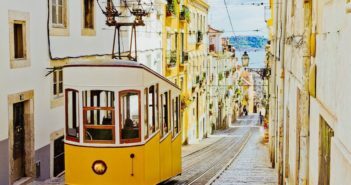 Where can I hire a car at the Lisbon Airport? Car hire is easy to arrange at Lisbon Airport. Avis, Europcar, Guerin, Goldcar, Hertz, and Sixt, among others, have a presence in the arrivals hall of Terminal 1, daily from 6am to 1am, including weekends and public holidays. 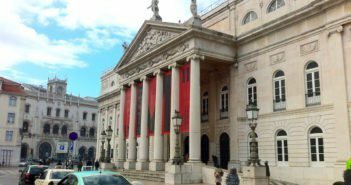 Where can I hire a car in Lisbon city centre? You don’t have to rent a car at Lisbon Airport; there are companies offering city pick-up, which include Avis, Europcar, Guerin, Hertz and Sixt. However, you should compare prices between locations, since there may be differences, depending on the company. 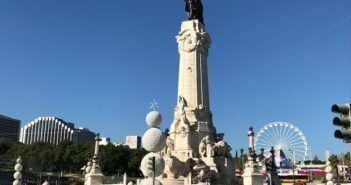 Where can I hire a car in Lisbon on weekends and public holidays? 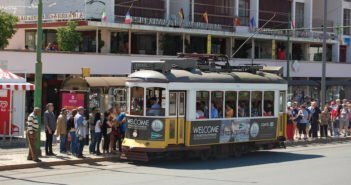 Even on weekends and public holidays, car hire Lisbon is easy to arrange both at Lisbon Airport during the usual opening hours, and in the city centre with slightly limited opening hours. 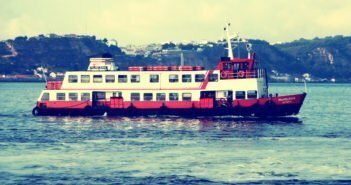 Unless you specify otherwise, the vehicle you’re given by a Lisbon car rental company will almost certainly be manual drive. Some automatic car models are available from most companies – mainly for the North American market – but you’ll generally pay a bit more. You’ll find driving in Lisbon city centre can be slow and sometimes chaotic, particularly at rush hour. There are parking meters and/or public parking in most areas. However, parking spots can be difficult to get in some central areas. 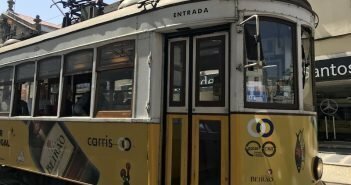 If you’re in Lisbon over the peak summer months, you should book early to bag a bargain. Portugal has recently extended its speed-trap system with several speed cameras placed in urban areas. If you do get caught by a camera, the fine will eventually be sent to you. If you plan to use motorways, you should rent the Via Verde transponder that the car rental company offers, as there are a number of motorways in Portugal that are completely electronic (no toll booths). If you travel with a transponder, then you should use the special Via Verde lane on all the motorways that do have toll booths. When you return the car, the toll charges that were recorded on the transponder will be charged on your credit card.